I eat less chicken for 2 years now. If I have any other choice , I wouldn't want to choose chicken or meat. I eat more fish or seafood but most of the time more fish and veggies in my daily diet. Fruit not so much because I only eat certain type of fruits and it is seasonal one. Chingu said too expensive taste. IMA only eat fresh cherries and apricot. So snobbish la this woman! Not really...reason behind it because these two fruits taste nice and no need for me to peel or what so ever. What about strawberries??? Huhuhuhuh this reason will make you wanna throw up!!!! I only eat Korean strawberries in Korea.WTH!!! Malay community will call me 'Perempuan tak sedar diri'! huhuhuhuh..
As long as I am happy! 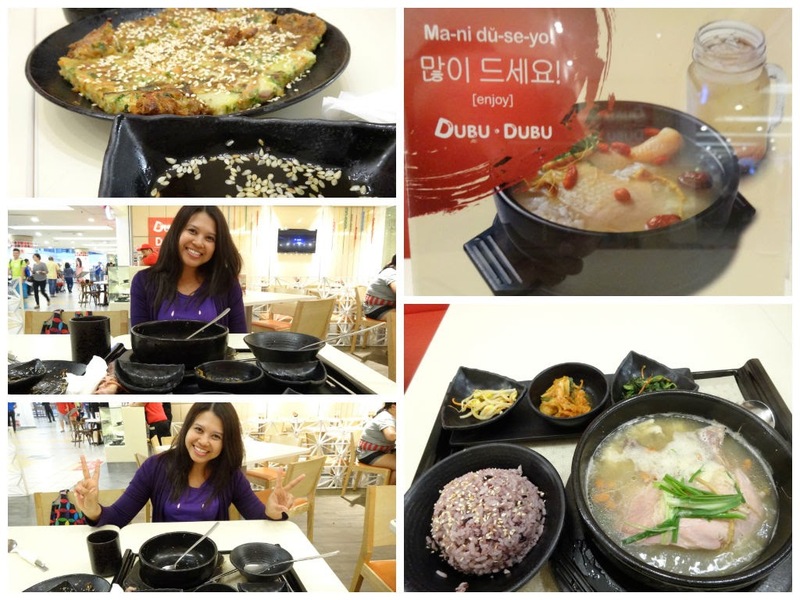 I really miss the taste of Korean food. So one weekend ask Chingu to treat me for korean food. At least at Dubu dubu has quite reasonable price food. I ordered this Herbal Soup Chicken set and Pajeon. I don't finish this by myself.I only eat 2 - 3 spoon. Chingu finished most of the food!!!! pppssssstttt!!!! That is why .....he need to pay for the food. Then went to Seoul Mart to re stock my Banchan stock in the fridge. 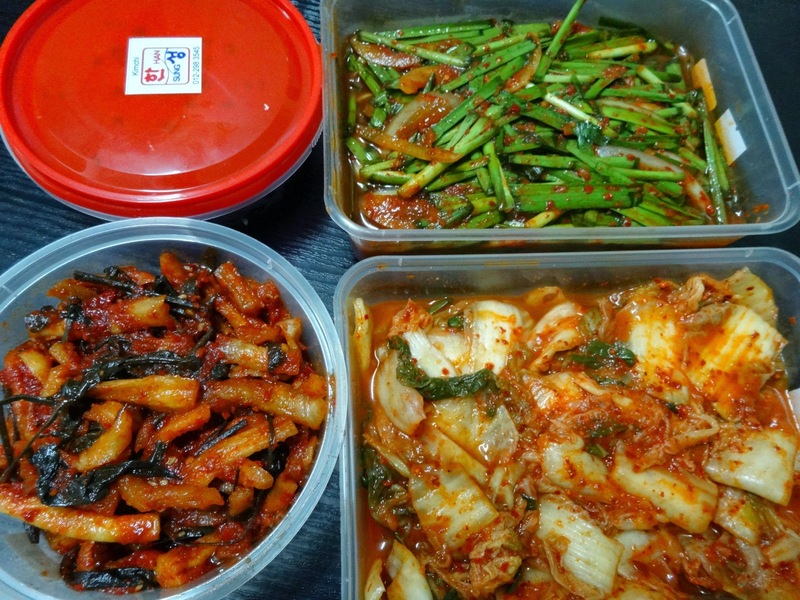 I love Burdock kimchi and the black bean, reason????? I normally cook rice with both in mixed together in my rice. Serious, my rice seasoned well like this. No need any other side dishes also can. This time I bought something new....Chives Kimchi. Isetan is having Korean food fair...seriously, cannot beat Seoul Mart @ Sri Hartamas!